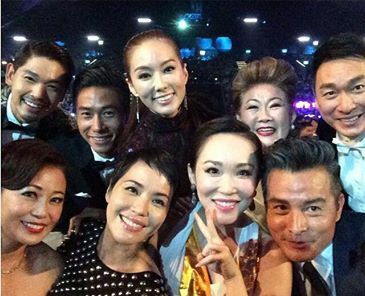 Star Awards 20: How Has Social Media Changed the Game? Star Awards celebrated its 20 years of excellence this year. While certainly much has evolved throughout the years – fashion, awards and significance, we take a look at how prominence of social media has changed the game. The internet has greatly changed the way fashion is reported at the awards. I remember having to grab the latest copy of 8Days or newspaper to look at the designer dresses and hit-and-misses of celebrities. How much has changed; with the prominence of #OOTD on the virtual universe. The internet told me Fann Wong was wearing a pre-fall 2014 Bottega Veneta dress. It would have taken a few days later for me to know that 6 years ago. Back then, calls were all that mattered to the Top 10 Most Popular Artistes. With the rise of social media platform, Mediacorp has given a fraction of votes on popularity through online voting. This has widely extended the reach through social media platforms. Dawn Yang, popular twins Jaylee and Haylee, Xavier Ong and Shine Koh are some examples of bloggers becoming part of the most prestigious award show in Singapore. Many online journalist are giving real-time updates on microblogging site thanks to advances in social media platforms. It was also from Twitter that I learnt that Pan Ling Ling wore a S$ 5 million worth of jewellery for the show. 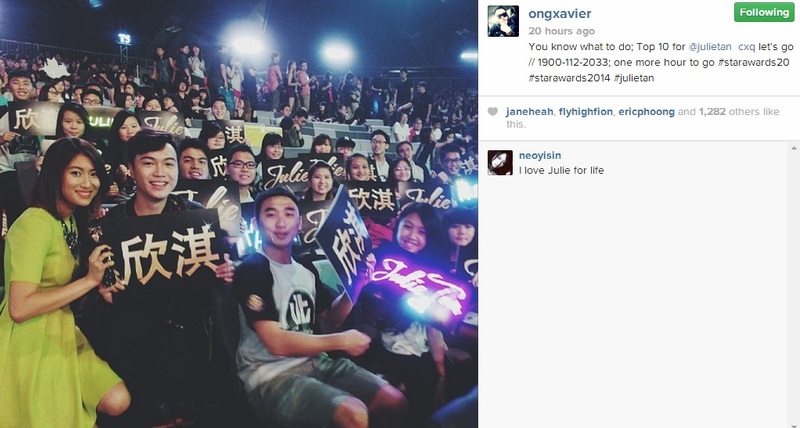 It helped with the popularized #StarAwards20 hashtag that grouped the news together for online audience. Many tech-savvy celebrities posted on their social media platforms what they are up to on the ground. It gives a surreal experience for audience watching it on television or live. Back then such exclusivity was mostly reserved for people with backstage passes, but now, celebrities are the ones sharing these live feeds. And of course, the #selfie notion. Social media has drastically changed the Star Awards since 20 years ago with the bursting of news and information in real-time. What will happen in another 20 years? I’m excited! Previous Post STOMP: are Singaporeans ready for online journalism?